In Las Vegas and across the U.S., truck accidents are becoming increasingly problematic. As is the case for all motor vehicle accidents, a truck accident lawyer Las Vegas knows that a variety of factors may contribute to these dangerous events. Among these factors is negligent truckers and incompetent truck driving skills, two problems that could be mitigated through federally mandated truck driving training programs. As the U.S. economy continues to recover from a financial crisis and subsequ ent recession in recent years, demand for goods to be transported across the country, by trucks or otherwise, continues to increase. According to the Federal Motor Carrier Safety Administration, trucking accidents produce more than 100,000 injuries to Americans every year. Those numbers could grow as more trucks appear on the road. Another source of upward pressure on truck accidents, according to a truck accident lawyer in Las Vegas is an inadequate supply of truckers to meet that demand. 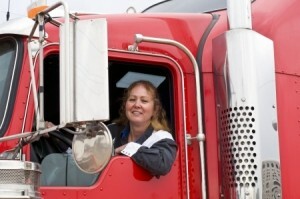 Data from the American Trucking Association reveals over 30,000 unfilled truck driver jobs in the U.S. This imbalance increases the risk of overworked and, perhaps, less qualified drivers, which reinforces the need for truck driving training programs. 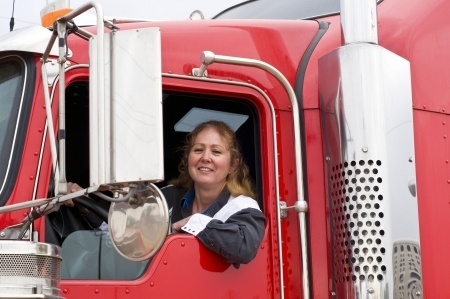 In the U.S., there are standards for testing and issuing Class-A commercial driver’s licenses, which are required for entry-level commercial motor vehicle drivers. Testing, however, is not necessarily equivalent to training. Currently, there are no guidelines set when it comes to commercial truck driving programs according to the FMCSA. As such, anyone can take an online course or spend a few hours in a classroom and then go take the CDL test without any emphasis on safe driver behavior. One factor that may be influencing the U.S. government to resist regulated truck driver training programs is the lack of data on a positive relationship between the application of formal training programs and improved safety outcomes. A report sponsored by the FMCSA failed to conclude a link between training and accident rates. More research may be needed to substantiate an argument for federally mandated training programs for truck drivers. This may help to highlight whether other problems, such as negligent truckers, ought to be the focus of concern. According to the FMCSA, research has indicated that entry-level truck drivers did not receive adequate training prior to beginning their careers. This has left the burden of providing additional training to improve driver safety to trucking companies. Truck driving simulators are starting to be put into use by some groups in the industry but consistency in the industry itself remains a challenge. Truck drivers who are inadequately trained can pose a risk to others, as any truck accident lawyer in Las Vegas can testify. Therefore, the federal government should consider establishing guidelines on the type of training commercial drivers receive.